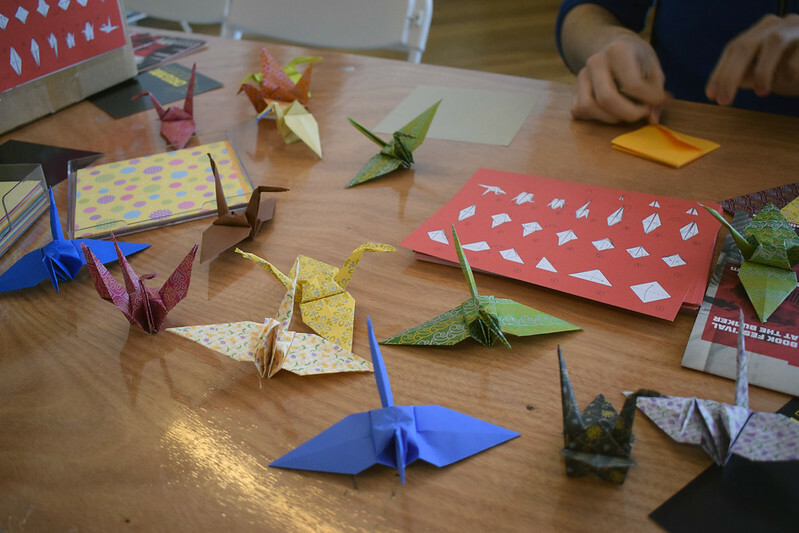 When we embarked on our mission to make 1000 Origami Peace Cranes as part of our commemoration of the end of WW1, we never imagined that we would receive 580 peace cranes made by 200 children living in Nagasaki and Hiroshima, bringing our final total to 1280. This, together with over seventy Peace Matters Postcards exchanged between children at Rolph CoE Primary School and Two Villages CoE Primary School in Tendring, and pupils in Valance (France), Biberach (Germany) and Swidnica (Poland), plus our People’s Peace Mural led by the inimitable Sumi Ink Club, formed part of our wonderful Peace Wall that adorned the white bricks of the Jaywick Martello Tower for our Festival Finale on 31st March. 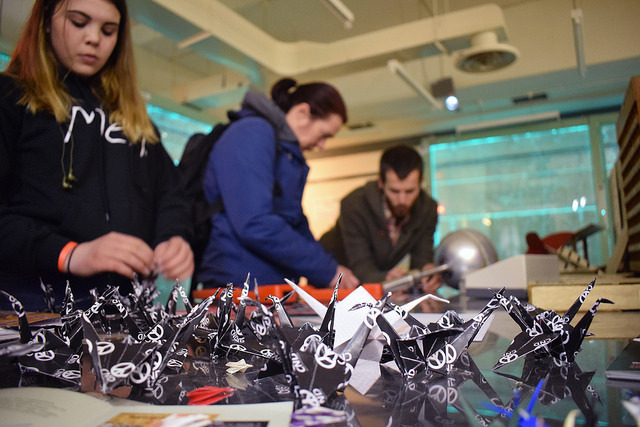 Other contributors to the #1000PeaceCranes Project included Essex Children’s University, CND’s Education Team and the University of Essex Origami Society. Particular thanks must go to the award-winning children’s author Wendy Constance who not only successfully mastered the ancient art of origami within a matter of days, personally donating an amazing 138 cranes to our Siege of Cranes, but also ended up running impromptu origami workshops for eager participants in multiple venues across Essex.